Hundreds join FRSO International Women’s Day march | Fight Back! More than 250 people gathered here on March 8, International Women’s Day, to oppose Trump’s attacks on women. 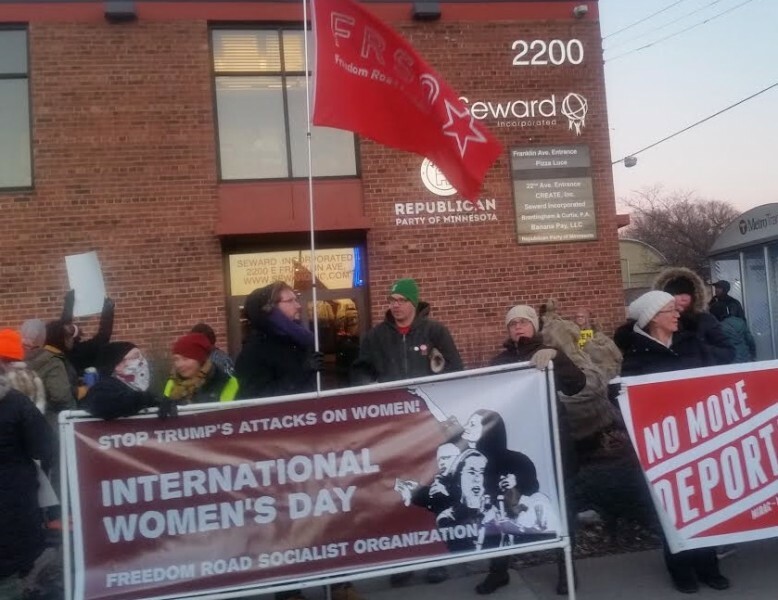 After rallying in Mayday Plaza, in the West Bank neighborhood, protesters marched on the headquarters of the Minnesota Republican Party. The demonstration was organized by Freedom Road Socialist Organization (FRSO), and endorsed by the Welfare Rights Committee, MIRAC-No More Deportations Campaign, Anti-War Committee, MIRAC-UMN, Women Against Military Madness, Students for a Democratic Society - UMN, MN Committee to Stop FBI Repression, and others.